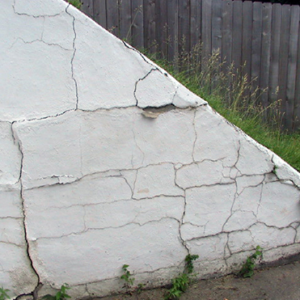 We remove and replace failing stucco or just add stucco to exposed foundations, be they standard block, irregular block, brick, stone or we even stucco exterior insulation. We have also done quite a few interior stucco jobs on old stone basement foundations or inside of garage walls. 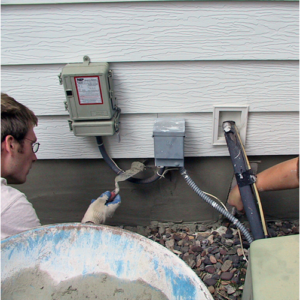 We don’t just coat the foundation though as some do (this doesn’t last long), we only apply the full-blown stucco system. You can consider it a permanent improvement. 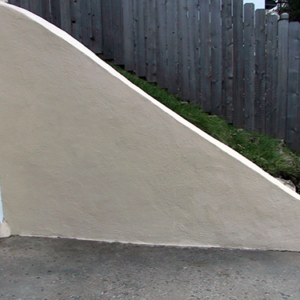 Here you can see a retaining wall that we repaired, as well as new concrete steps. 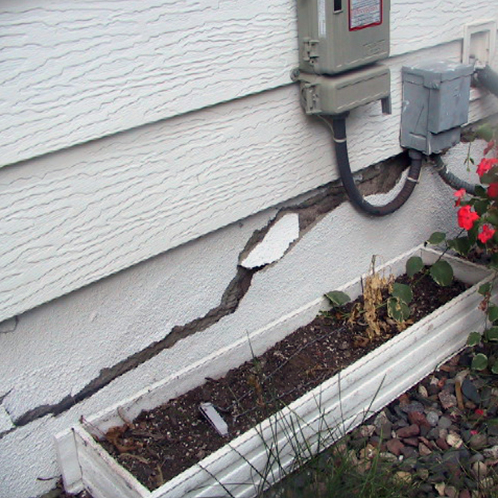 Beautify your home and improve your property value by getting a free quote on repair work today. 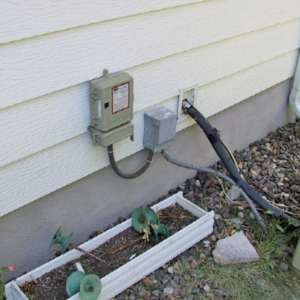 We repair block, disconnect downspouts, pull back soil and remove window wells as needed to accomplish a thorough and complete installation that will look sharp and really last. 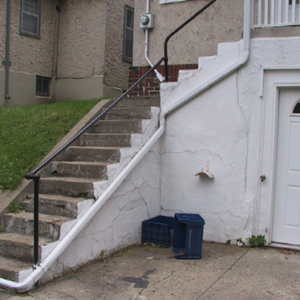 The sides of large commercial entryway stoops and steps are often left poorly finished during installation. 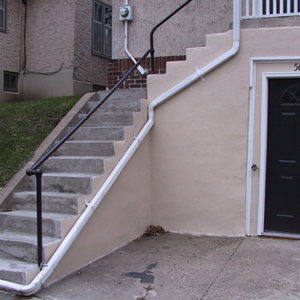 We have given “face lifts” to many of these at town homes and also for homeowners. It can really improve the “first impression” of a property.